The first of the Command series. 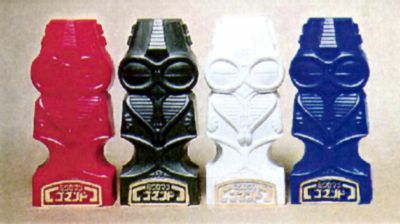 These figures came in an Easter Island style capsule. 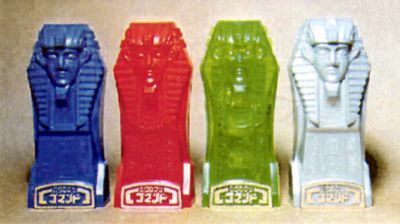 These were recently re-released by Roman-do. 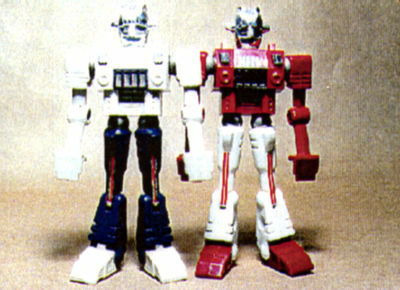 The difference between the Takara and Roman-do figures is that Roman-do chest plates are all gold, whereas the Takara chest plates were gold or silver. The areas to either side of the chest plates glow in the dark. 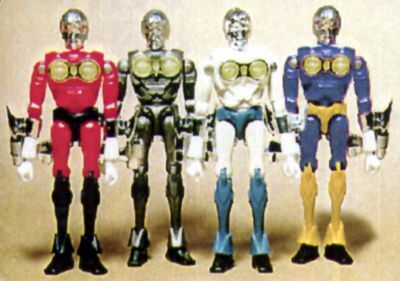 Corresponds to Pharoid in the Micronauts line. 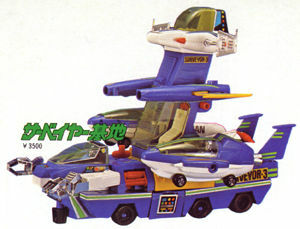 This series is a member of the Microman Command series. Re-released by Roman-do in October 1996. M164 contains within it's plastic tiny pieces of gold glitter. M162's name is Sunda, or Thunder. 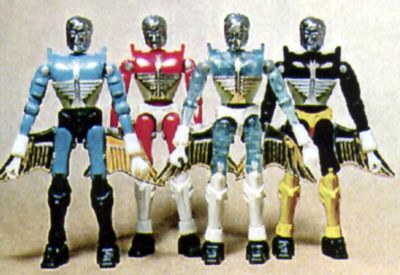 Corresponds to Galactic Defender in the Micronauts line. 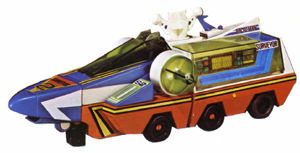 A member of the Microman Command series. 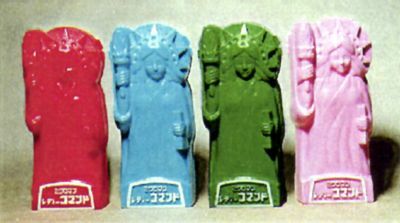 The image on the figure's chest and capsule is based on clay figurines of a proto-Japanese deity from the late Jomon period (2nd millennium BC). 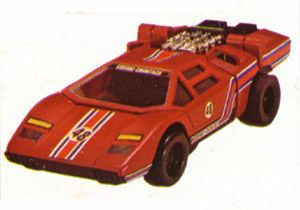 It is different from Galactic Defender in that attached to it's chest is a glowing figure eight shaped piece. 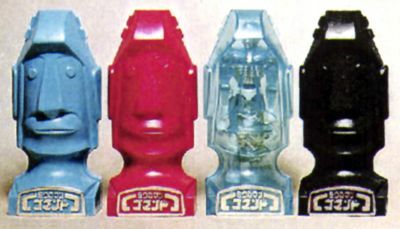 Also, Galactic Defender included pieces from the Microman Hoodman series of figures, such as the helmet, sword and gun. 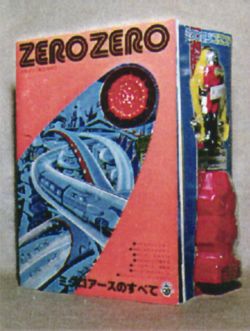 Same figures as above, but came in different packaging and included Magazine Zero Zero. 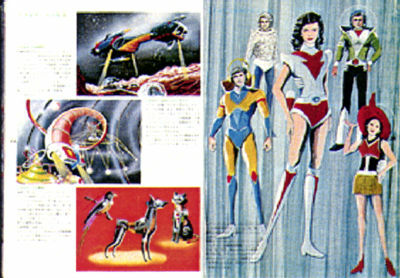 A spread from this magazine can be seen below in the Microman Lady Command section. 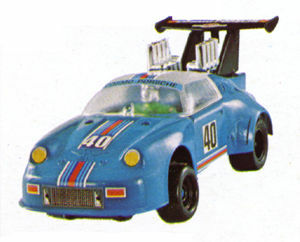 The Lady Command series is among the most sought after of Microman figures. 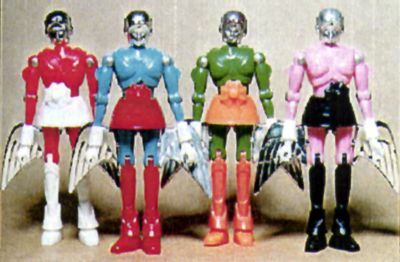 They are the only female figures in the entire line, with the exception of those of the Acroyear Uniquer series. Their case is modeled on the Statue of Liberty, and the wings which attach to their legs also attach to their backs, so that they look like angels. The same Lady Command figures as above, only packaged differently with Magazine Zero Zero. 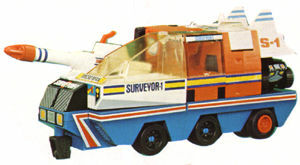 A spread from this magazine is shown above and an example of the packaging is also shown in the previous Microman Command 3 section further above.